The qualities that set an elite athlete apart from the rest of us lie not just in the muscles and the lungs but also between the ears and the mind. Athletes need to make complicated decision quickly in order to win their game. That is the power of our mind. You can use the power of your mind and spirit in different ways. With proper training and preparation, you may very well find yourself on the road to optimum sports performance. The mind can be separated into two parts: the conscious and subconscious. They work together and make you unique. By using each part of our mind the right way can help us reach our true potential. When we think about anything, or intentionally do or say something, we are using our conscious mind. In short, the conscious mind is the way we think. However, our conscious mind only contains a small room. We cannot do or think about more than a couple things at one time. Our conscious mind processes information very slowly and requires a lot of energy to do so. And when we are not engaged in something or not concentrating on a specific task, we occupied our conscious mind with negative self-defeating thoughts. Some of us may already hear about our subconscious mind but only few of us know it deeper. This is unfortunate, for our subconscious mind can and should be a great partner in achieving career and sports success. All you need is to establish a well working relationship with your subconscious mind. You must become conscious and familiar with this unknown, mysterious aspect of ourselves, and the role it plays in our life. We use our subconscious mind when we’re walking down the street while breathing, the steps we’re taking or where our eyes are scanning. At times we call them habits, we do them so much that they’ve been programmed in our mind to the point that they become automatic. The function of our subconscious mind is to store and retrieve data. It makes everything we say and do fit a pattern consistent with our self-concept, our “master-program”. Our subconscious mind processes info very fast and it requires very little energy to do so. It is subjective. It does not think or reason independently; it simply obeys the commands it receives from the conscious mind. Our conscious mind commands and your subconscious mind obeys. But the real purpose of our subconscious mind is to take all the things we learn in our conscious mind and move them somewhere that we can still use them without having to use our conscious mind or think about it. The power of our subconscious mind and sports can work very well together and lead to greater success in competitions. “Being in the zone” or entering the “flow state” is important for any athlete in order to be fully focused on the game and perform their best performance. To arrive at this state, the conscious mind needs to work with the subconscious mind and synchronize the body’s movements and increase its reaction time. You have to let your subconscious mind take over your and keep the conscious mind focused only on the details of the game. We only have to take away all the distraction or negative thoughts during the game. Though getting rid of a negative mindset is somewhat difficult, there is a single solution that can be done… The Flow State Mental Training. The key for working with your subconscious mind is to trick the mind into believing you already have what you want right NOW. So state your affirmation in the present, feel as if you’re doing it now. Apply the Flow State Mental Training to Unleash the Power of your Subconscious Mind Now. 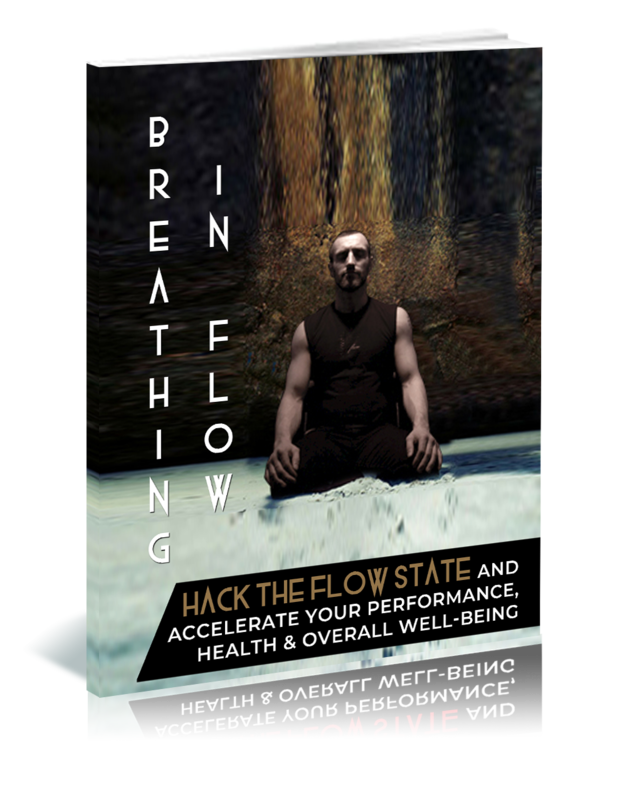 Sign up and download the Free Hack The Flow State Course. The conscious mind, or we can also call it ‘the explicit system’, can only hold about seven bits of information at once. But the subconscious mind, or the ‘implicit system’, has no such limit. This is the reason that we encounter overwhelming complexity, we trade conscious processing for subconscious processing. However, using our subconscious mind takes a lot of energy so our brain performs an efficiency exchange or the ‘Transient Hypofrontality’. ‘Transient’ means temporary, ‘Hypo’ means to slow down and ‘Frontality’ refers to the forward-most part of the brain – the prefrontal cortex. This is the place where most of our higher cognitive functions are stored. The portion of our brain where we calculate time. While you are in Flow State, parts of your prefrontal cortex are being shut off. You can no longer separate past from present to future. In short, time dilates. While time dilates, you can then create curious-crazy yet brilliant decisions that could make you survive and win the game. Using our subconscious mind effectively requires being in an altered state of mind. Each of us can alter our state of mind by identifying each of our brain waves: Beta, Alpha, Theta, Delta and Gamma. You can also read my article about the 5 Brain waves and its connection to Flow State. The Alpha and Theta Brain waves are the doorways to our subconscious mind. Our subconscious mind will accept suggestions and commands readily when you are in the Alpha and Theta Waves, also called as the ‘Gamma Spike’. The gamma is the 5th state of the brain wave and it is only produced while you are in the alpha-theta state. But it’s hard to activate the gamma spike. This is the reason why athletes in flow state have a huge edge, because their brain is already in alpha-theta state or the gamma spike. To add these elements together, it’s clear that flow is such an effective decision-making strategy. People in the zone are already “neurologically” poised on the brink of breakthrough. This means that flow packs a double punch: it doesn’t just increase our decision-making abilities - it also increases our creativity. To use our subconscious mind effectively, you need to learn to go into the alpha-theta state at will and stay there. Although it’s hard to learn and go to the gamma spike at will, but for the Flow State Mental Training, you can go and maintain your alpha-theta state whenever you want while hacking your subconscious mind. Our conscious mind is the guardian to the gates of our subconscious. It is the conscious mind’s main role to make sure that only the highest quality thoughts gain entrance to the power of your subconscious mind. When we fully understand that whatever thoughts and beliefs we enter to our subconscious will eventually help us increase our sports performance. And by altering our state of mind, we can hack the flow state easily.